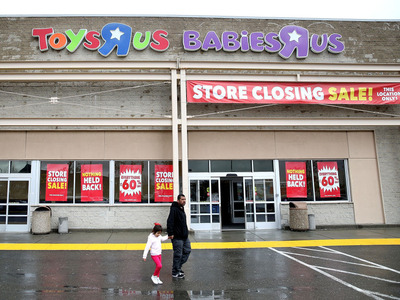 Getty/Justin SullivanToys R Us took a chunk out of the July jobs report. 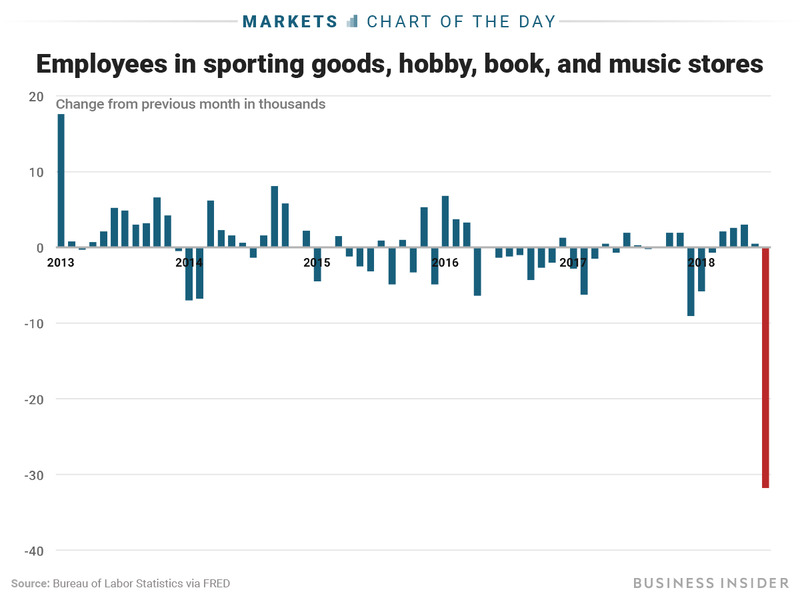 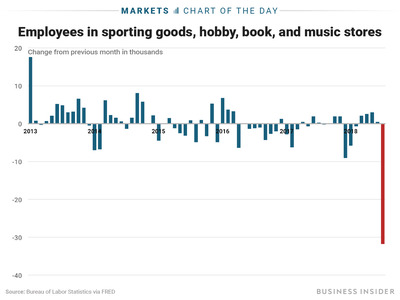 The gains in retail jobs “were offset by a decline of 32,000 in sporting goods, hobby, book, and music stores, reflecting job losses in hobby, toy, and game stores,” the Bureau of Labour Statistics said. 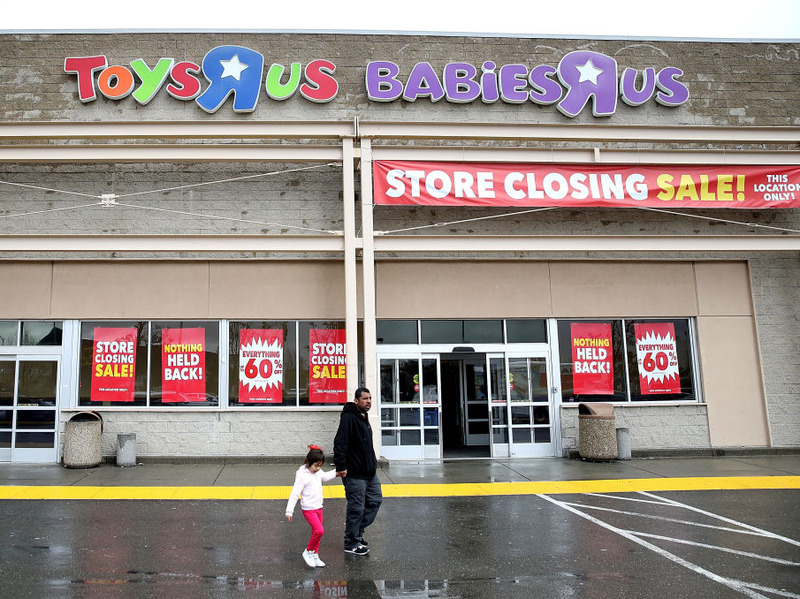 In the liquidation filing, Toys R Us blamed its poor holiday performance on Walmart,Target, and Amazon pricing their toys so low that it couldn’t compete and profit.